Happy Thanksgiving! It’s truly a time to be thankful, and we, for one are thankful to reside in Austin, TX. 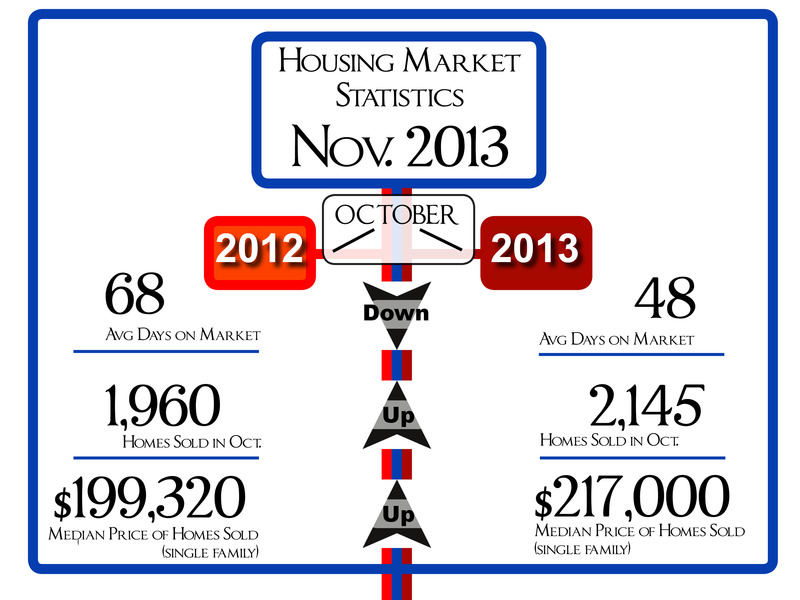 It’s finally getting cold, but our healthy job market and affordable cost of living are keeping the housing market hot! Austin is growing by a rate of about 150 people per day which is the primary reason we continue to see increasing home sales and rising home prices. The Austin Board of Realtors (ABoR) announced recently that there was a 9% increase in single-family homes sold this past October, coming in at 2,145. The median price for Austin-area homes was $217,000 which is 9% more than October of last year. Inventory dropped to a historically low level of 2.5 months, which was first reached in January of this year, and is about one month less than October 2012. Additionally, homes spent an average of 48 days on the market, which is a decrease of 20 days from one year prior. The number of active, single-family homes on the market was 5,540, which is 12% fewer homes for sale than October 2012. The way the market is trending right now, if you’re thinking about purchasing a home in one of the more competitive markets like Westlake, Cedar Park, or Central Austin, we would advise enlisting the help of a Realtor to make sure you have the edge on other buyers. If you would like to search for homes in Austin, TX you can visit our advanced search page to begin looking for your perfect home! Seth Thompson, Broker at HomeCity, explains the Austin Housing Market, below!